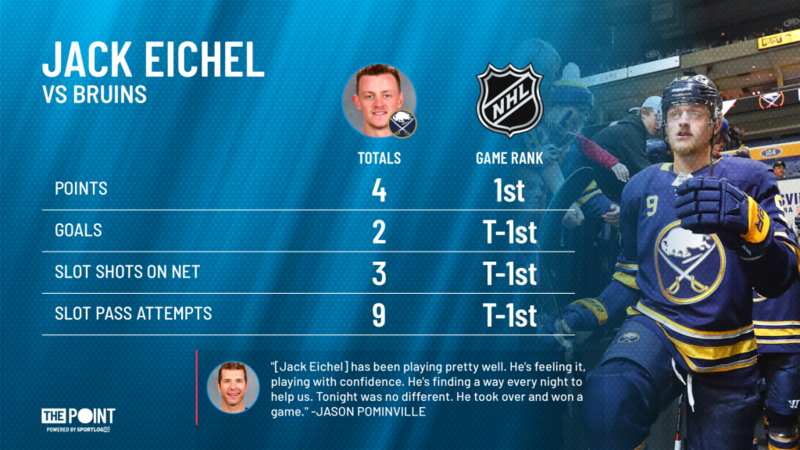 Weekend Warrior: Jack Eichel - The Point Data-driven hockey storytelling that gets right to the point. 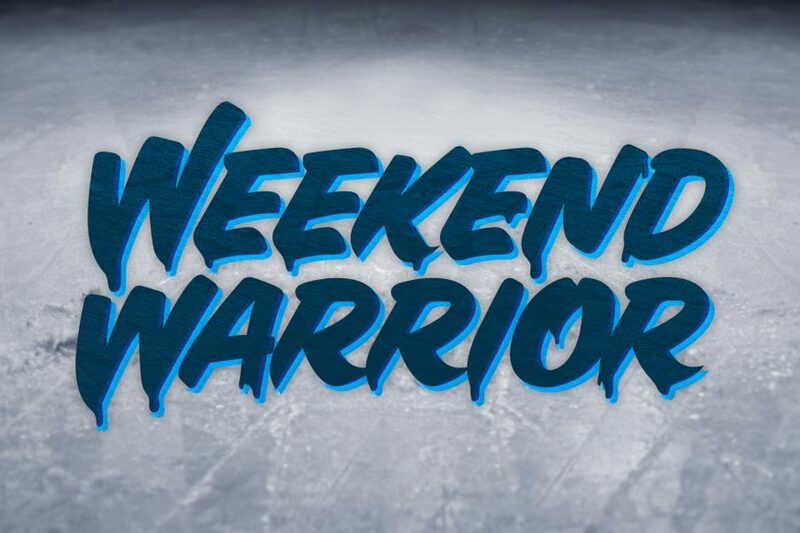 Every Monday, we highlight a monster performance that happened over the weekend as players compete for the coveted and prestigious “Weekend Warrior” award. This week, the Award goes to Jack Eichel, who scored four goals over two games during the weekend. His two goals on Saturday weren’t enough to overcome the Capitals, but the Sabres captain saved his best game of the weekend for the key Atlantic division matchup with the Boston Bruins. He scored twice for the second game in a row and added a pair of assists to have a hand in all four of his team’s goals in the 4-2 win. After the game, head coach Phil Housley was quick to praise his captain’s performance in the second half of the back-to-back. “He’s just brought his game to another level, especially under the circumstances tonight, too,” coach Phil Housley said. “Like tonight, he played 24, 25 minutes last night. Comes back and plays almost 20 minutes tonight and plays at both ends. He’s attacking the game with speed offensively. He’s reloading with meaningful strides coming back into our zone. He’s playing a 200-foot game, a very complete game right now.” Speaking of a 200-foot game, Eichel still found the energy on Sunday to lead both teams’ forwards in total defensive plays with 12. So, congratulations Jack Eichel, you are the 7th weekly winner of the Weekend Warrior award.